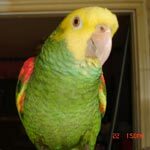 Parrot Forum • View topic - Whistle for Flight recall? Rocko has gotten good at flight recall and comes when I call his name but sometimes he doesn't and I think maybe a whistle will make him come on command every time.Does anybody use a whistle and is there a specific type of whistle that would be best? Re: Whistle for Flight recall? Only for super long distance outdoors. Indoors or short distance it just gets annoying. Believe me. Reason he's not coming isn't because he can't hear you. I just use their word "com'ere". If they are not paying attention I use their name and then the word. Just like kids they do not always do what I want but they do know what I want. Michael wrote: Only for super long distance outdoors. Indoors or short distance it just gets annoying. Believe me. Reason he's not coming isn't because he can't hear you. What would be his reason for not coming? Should I use a different word. Hope that helps.....dont focus on the verbal cues.....focus on training for recall. He already comes when I call him now, this thread was created like a month ago. That is really good advise Wayne! Parrotforlife, in this forum we have the ability to bring up past posts if we think we have something new to add or if we have questions on the topic instead of starting a new thread. I envy those who can whistle. I have not been able to. My Momma was really bad at it but tried. Now my birds have another kind of whistle than before . They sound like Momma trying to whistle. 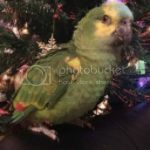 liz wrote: Parrotforlife, in this forum we have the ability to bring up past posts if we think we have something new to add or if we have questions on the topic instead of starting a new thread. I know but he was talking to me, Im not gonna ignore him of course im gonna reply and tell him Rocko comes when called now.I cant whistle and I wasn't talking about that I was talking about an actual whistle that you would buy.